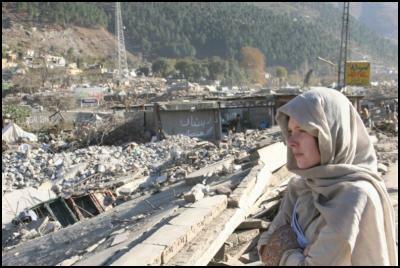 Just prior to Christmas New Zealand journalist Jon Stephenson, assisted by an Asia New Zealand media award, toured earthquake devastated Pakistan. Accompanying Mr Stephenson on the two week trip through the often fought over and now ruined province of Kashmir was BFM host Rebecca Wright. 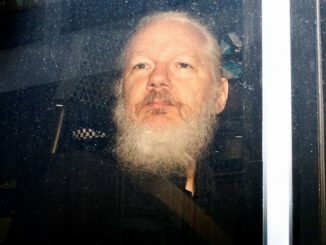 During his travels Mr Stephenson learned from aid workers that the response to the earthquake had been paltry, in terms of both foreign aid and media interest, in relation to the media saturation and billions pledged in Tsunami aid. Locals remove rubble as part of a clearance and rebuilding effort in the earthquake-stricken town of Balakot in Pakistan's North West Frontier Province. 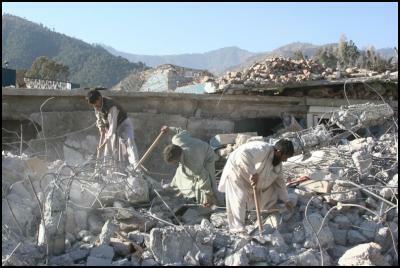 Balakot was amongst the towns worst affected by the magnitude 7.6 quake, which struck the region on 8 October. 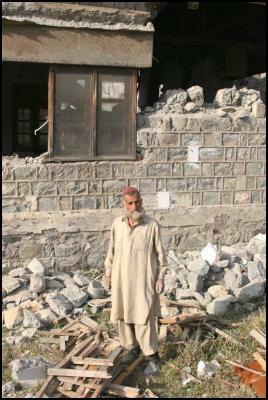 An old man stands in the ruins of his home at Gari Habibullah in Pakistan's North West Frontier Province. 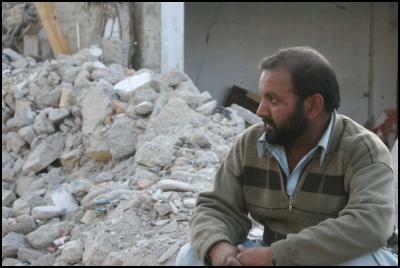 A resident of earthquake-stricken Balakot surveys the rubble in his town. 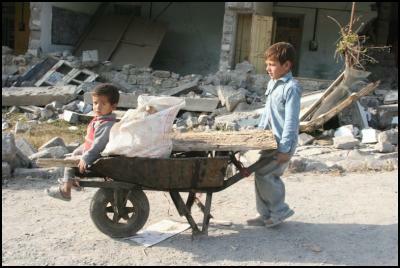 Local children help in the clear-up effort in the earthquake-stricken town of Gari Habibullah in Pakistan's North West Frontier Province. 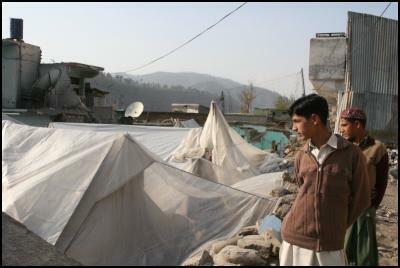 Pakistani boys stand next to a makeshift tent in the earthquake-stricken village of Gari Habibullah in Pakistan's North West Frontier Province. 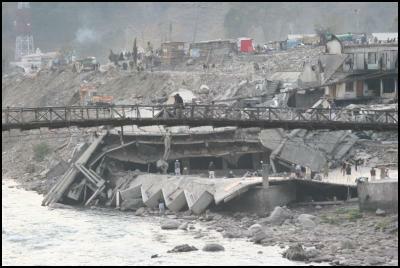 View of earthquake damage at Balakot in Pakistan's North West Frontier Province. 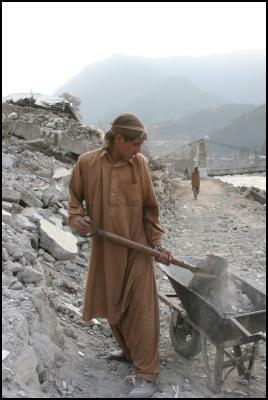 A Pakistani man removes rubble at a site in earthquake-stricken Balakot in Pakistan's North West Frontier Province. Or The Red Cross (NZ) who have a dedicated 0900 number set up for automatic $20 donations to the Pakistan appeal 0900 33 200. 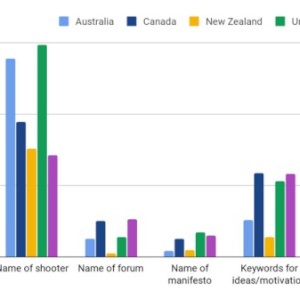 Find more from Jon Stephenson on InfoPages.